Nine Twenty are championing the IP100. What is the IP100 I hear you ask? Well here is everything you need to know. Metis Partners, in partnership with BQ Magazine, is pleased to announce that applications for inclusion in the Intellectual Property (“IP”) League Table are now open. This exciting new project, which is free to enter, will provide a new platform to rank and profile companies according to their IP wealth. The IP League Table highlights companies which have significantly invested in their IP in the form of IP creation, IP management policies, R&D activities and IP commercialisation. 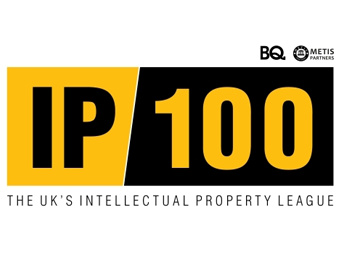 Top performing entrants will be published by BQ Magazine in the IP100, an annual ranking of companies by the strength of their IP. The ranking process involves an evaluation of IP-specific data linked to the following IP asset classes: brands, software, patents, trade secrets and critical databases. A proprietary process will be applied to determine the strength of the IP and the IP100 team will rank companies based on the results. The emphasis of our ranking process is placed on the effective management of IP assets, rather than the revenues they earn. This ensures that a level playing field exists between both revenue-generating and pre-revenue companies. Listing your company in the IP League Table and IP100 is a powerful way to have your company recognised as an innovator. Identified IP can give companies access to innovative funding options. The IP League Table will enable your company to showcase its investment in IP, get your IP on the balance sheet and potentially leverage the associated value to raise finance and restructure debt. The IP League Table is open to all UK companies and is free to enter.